Charles A. “Chuck” Donovan is president of the Charlotte Lozier Institute. He served as legislative director of the National Right to Life Committee more than three decades ago, worked as a writer for President Reagan, helped to lead the Family Research Council for nearly two decades and most recently has been Senior Research Fellow in Religion and Civil Society at The Heritage Foundation. Chuck has played key roles in the development of public policy regarding public financing of abortion, compassionate alternatives to abortion, the child tax credit, marriage penalty relief, and rights of conscience. Donovan is the author or co-author of books and monographs on family topics. Appearances on national radio and television include CNN’s Inside Politics and ABC’s Nightline as well as programs on FOX, BBC, NPR, EWTN and CBN. 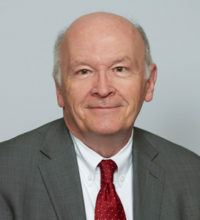 His articles and commentaries, both under his own name and those of public figures, have been published in newspapers such as The Wall Street Journal, The New York Times, The Washington Post, The Washington Times, Cincinnati Enquirer, San Diego Union and National Catholic Register, and in magazines such as Reader’s Digest, The Weekly Standard, American Legion Magazine, World Magazine, American Library Journal, Crisis, and Focus on the Family’s Citizen. A native of Louisville, Kentucky, Donovan grew up in Cincinnati, Ohio. He earned a bachelor of arts degree in English at the University of Notre Dame. He and his wife Meg reside in Virginia. They have two daughters and two sons. Oregon Governor Kate Brown broke what theater patrons would call the “fourth wall” when she signed House Bill 3391 into law on August 14, dragging every resident of her state into the vast public drama over abortion and human rights. In an egregious and unprecedented move, Oregon has become the first state to guarantee free abortions for all residents—backed by the full faith and credit of the taxpayer. With this step, it becomes increasingly difficult for any Oregonian to sit in the audience on so important as issue. This infographic is based on the Charlotte Lozier Institute paper, Planned Parenthood: “Irreplaceable” and “Lifesaving”? On July 20, 2017, The Heritage Foundation published the fourth installment of its annual Index of Culture and Opportunity (“Index”). The Index is an exercise in civil society that tracks and analyzes data that affects freedom and opportunity. Heritage writers explore three indicators: (1) cultural indicators, (2) poverty and dependence indicators, and (3) general opportunity indicators. Among the cultural indicators, Heritage analyzes America’s abortion rate. Politifact-checks are almost never the last word, and the latest one from Politifact Georgia criticizing Congressman Barry Loudermilk for his assessment of women’s real healthcare alternatives to Planned Parenthood is a case in point. People of all backgrounds and political perspectives, including on the underlying question of legal abortion, appreciate what pregnancy help centers accomplish. Giving these entities room to work should be a given as our nation continues its long debate over what is best for women and the unborn. On January 25, Charlotte Lozier Institute President Chuck Donovan presented opening remarks at the Family Research Council during an event launching the major report entitled, “Abortion Worldwide Report: 100 Countries, 1 Century, 1 Billion Babies.” The report, authored by William Robert Johnston, Ph.D., and Thomas W. Jacobson, M.A., is the first to systematically track reported abortions in 100 nations, territories, and regions, from the year of authorization through 2015. Because abortion and abortion policies impact thousands of women’s and families’ lives every day, abortion policy must be grounded on the most accurate, comprehensive and up-to-date statistical information and health data. There is a remarkable coda to our recent story about Cuban pro-life physician and human rights hero Dr. Oscar Elías Biscet. On Thursday, June 23, in Dallas, former President George W. Bush welcomed Dr. Biscet to the Bush Center and personally presented him with the Presidential Medal of Freedom he had awarded him in absentia in 2007 when Dr. Biscet was serving a 25-year sentence in a Castro prison. Ana Carolina Caceres is a journalist in Brazil. In a photograph in a recent story about her, she wears a garland of flowers, a simple necklace and a pleasant if somewhat nonplussed expression on her face. Caceres’ writing is clear and straightforward, as befits the blogger she is, but the story is not about her chosen profession – about what she does – but about who she is. Or rather a condition she has that some think should define her – or even have prevented her coming to birth. Ms. Caceres was diagnosed at birth with microcephaly, the condition so much in the news as a result of a spike in cases associated with the spread of the Zika virus across Latin America. The Charlotte Lozier Institute (CLI) and Americans United for Life (AUL) recently filed an amicus brief in a major lawsuit over the late-term abortion videotapes collected by the Center for Medical Progress (CMP). This lawsuit involves a vital public policy question: Can an association of abortion providers like the National Abortion Federation (NAF) successfully block the release of videos that show members of their organization potentially engaged in encouraging, supporting or facilitating the acquisition and/or sale of body parts from the unborn during the abortion process? Yesterday 75 members of Congress, led by Rep. Chris Smith of New Jersey and Sen. James Lankford of Oklahoma, sent a letter to the Commissioner of the Food and Drug Administration demanding answers to questions about the FDA’s surprise approval of relaxed protocols for the distribution of the abortion-inducing drug regimen known as Mifeprex. The changes, announced on March 30, significantly increase the duration of pregnancy at which the drug regimen may be administered, raising it from 49 days (7 weeks) from the last menstrual period (LMP) to 70 days (10 weeks) post-LMP. The American Association of Pro-Life Obstetricians and Gynecologists (AAPLOG) has issued a helpful statement on the Zika virus and the effort by the United Nations High Commission on Human Rights to exploit its spread to promote abortion and repeal of national laws against the practice. The statement contains a number of useful links regarding what is known about the virus and the recommendations of responsible agencies. Footnotes are supplied by Charlotte Lozier Institute. The AAPLOG website can be accessed at www.aaplog.org. On November 9, 2015, the Charlotte Lozier Institute, at CBO’s invitation, submitted a detailed letter to CBO describing six ways in which its analysis leads to misleading conclusions about the federal budget impact of the Planned Parenthood cutoff. In fact, among other points CLI argues that rechanneling funds from Planned Parenthood to primary care providers will lead to budget savings in Medicaid, that CBO underestimates Planned Parenthood’s private sector fundraising resilience, that CBO uses an incorrect (too high by 20%) figure for Planned Parenthood’s contraceptive client base, and that the 10-year budget window analysis artificially shows new costs for Medicaid enrollees but neglects the contributions human beings make to sustain government programs in the second decade of their lives and beyond. A great champion of the unborn, Carolyn Gerster, M.D., a founder of both Arizona Right to Life and the National Right to Life Committee, has passed away. Dr. Gerster truly was a woman of valor. She was trained as a cardiac electrophysiologist and she understood with a passion the medical truths about the beginning of human life and its transcendent value. I first met her when I was hired as a legislative assistant by NRLC in 1978. Tall, graceful, brilliant and blessed with the ability to move audiences, everyone from laypeople to legal experts to legislators, Dr. Gerster was a natural choice to lead NRLC during years when it grew dramatically in size and influence. She ultimately served as NRLC’s international vice president, traveling the globe and reaching audiences on six continents. And she did so with a modesty of approach that ultimately could not disguise her knowledge and accomplishment. Of all the Planned Parenthood data being looked at today as a result of release of the agency’s annual report, one of the more significant is the continued decline in its client total for reversible contraceptive methods (excluding services like sterilization and emergency contraceptive kits). This number is distinct from its contraceptive services total, where discrete services provided to a single individual are separately tallied, leading to a higher overall figure for services and a reduction in the apparent significance of a single “service” like abortion. The reversible contraceptive client total simply refers to the number of women coming to Planned Parenthood to obtain reversible contraception like oral contraceptives, barrier methods and IUDs, and this number continued to drop in 2014 – by more than 122,000 women, or more than 5.7 percent of those clients. It is indeed silly and specious because none of the proposals pending in Congress would shut down Planned Parenthood clinics and replace them, overnight or anytime. Instead, the discussion is about shifting the $528.4 million of total government funds away from Planned Parenthood and to the thousands of existing community health centers and other providers. In the wake of the spreading scandal over the sale of human organs extracted from unborn children, members of Congress are calling for the end of federal funding of Planned Parenthood. A first attempt in the U.S. Senate to do this failed on Monday of this week, but a dozen more Senators voted for the cut-off than did so the last time it was considered, in 2011. A cut-off would be condign punishment for an elite institution long given to dismissive responses to evidence of ethical misconduct, but the latest charges are hardly the only reason to wean this mega-wealthy nonprofit from the federal dole. In truth, the stand-alone Planned Parenthood facility is obsolete. The issue of late-term abortion is among the most agonizing and controversial areas within the larger, contentious debate on the morality and legality of abortion. To begin with, by the 20th week or fifth month of pregnancy, the fetus is clearly recognizable as a neonate and she is routinely described on professional medical websites in terms that stress her individuality and humanity; in addition, the methods used to terminate fetal life after five months are particularly grim and are often cited by abortion practitioners themselves in ways that indicate their ethical or aesthetic revulsion. On Monday, December 22, Charlotte Lozier Institute (CLI) joined with Family Research Council (FRC) as cosignatories on comments filed by Alliance Defending Freedom (ADF) regarding new federal rules from the Department of Health and Human Services and the Office of Personnel Management on transparency in health insurance coverage of abortion. The comment covers two separate rulemakings, one of which concerns the general use of federal tax subsidies to purchase health insurance plans on the federal and state insurance exchanges, and another which addresses transparency with respect to certain multi-state plans (MSPs) managed by OPM under the Affordable Care Act. Later this week the federal and state exchanges created under Obamacare, the Affordable Care Act, will open for their second year of operation. After last year’s rugged rollout, with extremely expensive web sites that functioned poorly, the Obama Administration has invested millions more in fixing the federal site, healthcare.gov, and is promising better performance. It is far from clear that this improvement will happen, and in the area of abortion coverage nothing is clear at all. Yesterday the U.S. Court of Appeals for the Fifth Circuit issued an order that allows a recently enacted Texas abortion regulation to take effect. The case is called Planned Parenthood v. Abbott and it was filed by several Planned Parenthood entities and similar organizations. Here are three things you need to know about the case. In this report, CLI President Chuck Donovan documents how multi-state plans (MSPs) created under the Affordable Care Act are one pathway that would allow for an additional 111,500 publicly subsidized abortions per year. The Lozier Institute filed a comment on a West Virginia law, urging for a gestational age limit to abortions and implementation of health and safety standards for abortion facilities. This paper surveys the current state of federal and state adoption tax credits, which provide relief to families who choose to adopt a child. The paper makes several recommendations including making the adoption tax credit refundable so that adoption is an option for more families as it is such a positive force for children, families, and the country as a whole. This paper investigates national and state abortion reporting laws and policies in the United States. The paper makes several recommendations for streamlining and improving this broken system.